More Europe! Here's the goals from the European Cup Winners Cup final 1970, which was held in Vienna. The top picture shows Gornik Zabreze keeper Kostka blocking a shot from Lee with Neil Young running in to score the first goal. 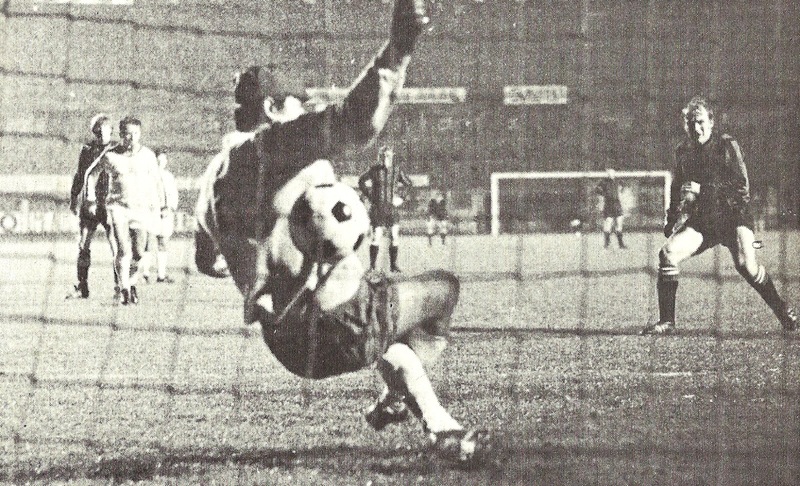 The other picture is Francis Lee scoring a penalty to put City 2 - 0 up. Zabreze scored a consolation goal later on, but City's victory was never really in doubt. The match was played in heavy rain for long periods, with a crowd of only 10,000 watching, in a stadium which held 80,000! Almost 4,000 City supporters followed the team to Austria and were rewarded with City's finest night in Europe.